MARTINSVILLE, Ind. -- Section 5 of I-69 has been underway since 2014, rehabilitating over 21 miles of State Road 37 between Martinsville and Bloomington to interstate standards. "It has been a big hassle for a lot of people, but I think in the long run it will be really nice, once they get it completed,” said Pam Zimmer, Martinsville. The project was originally slated to be complete last year, but the state took over after contractors were behind schedule. “I actually have some family members that are working on the road, and now that the state took over, it’s going a lot smoother,” said Zimmer. 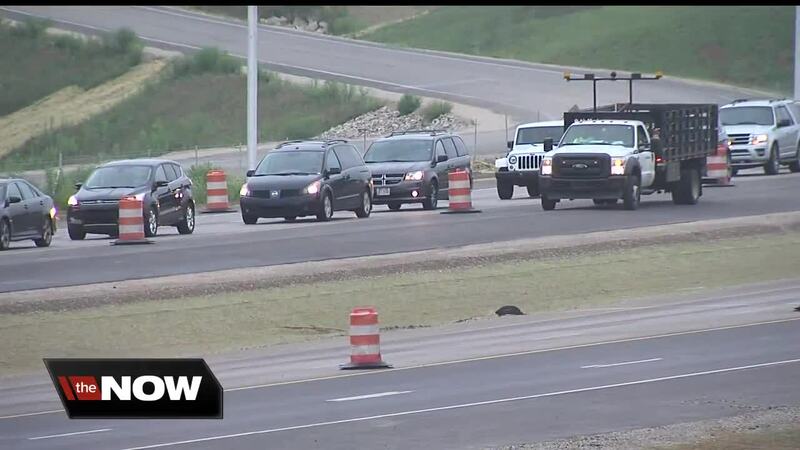 Andy Dietrick of the Indiana Department of Transportation said last week the hope was for the project to be complete by August 31 but with all of the recent rainy weather, work can't be done, the goal won't be met, and lane restrictions remain. "They had some cones put up, so it was bottlenecking it. But there wasn't any construction or reason for the cones to be there,” said Lillyan Hamilton, Indiana University freshman. This week has been a rough one, in terms of traffic flow. "Yesterday was very heavy because I believe this week is IU move-in week," said Zimmer. "It's been really slow getting down to IU because of all of the construction-it's good that they're doing the roads, but it'd be great if they did it not during move-in,” said Hamilton. Despite the current frustrations, everyone seems to agree the result will be worth it. "I think it's a good thing for the state and I think once they get the next section done to Indianapolis, I think it may draw a lot of business along the route, and I think it will be great,” said Zimmer. There is a light at the end of the construction cone tunnel. "It will be really nice for it to be done and the road will be nice and smooth and no more potholes,” said Hamilton. Once this section of I-69 is complete, work on the final stretch from Martinsville to Indianapolis will begin. We reached out to INDOT officials to talk about the delay, and they declined to comment. The hope is for Section 5 construction to wrap up some time in September.